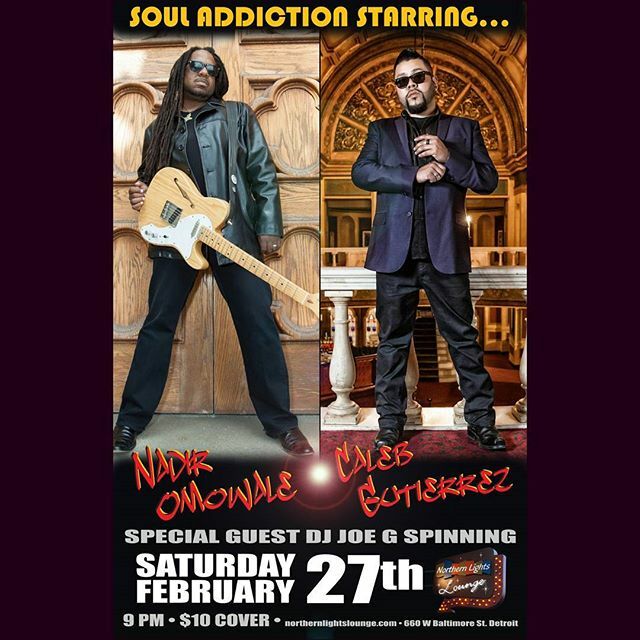 Saturday, February 27th, come feed your soul addiction with Nadir Omowale and Caleb Gutierrez! Two bands of straight soul and funk with non-stop music spun by DJ Joe G. Get there early to get your drink on and be ready to party! 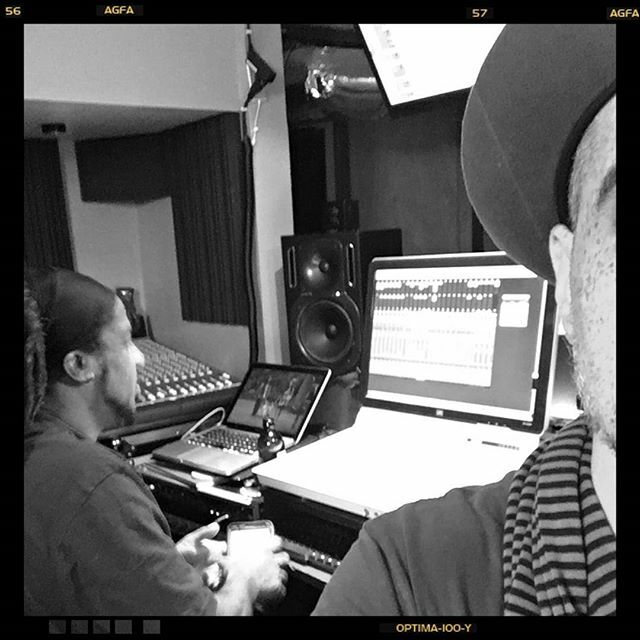 The music that flows from the mind and soul of Nadir Omowale simply defies genre classification. R&B, Rock, Funk, Hip Hop and Jazz are spun into such a heady mix through his recordings and performances, that the listener no longer has any interest in limits or labels. Nadir’s music represents the evolution and celebration of an ancient blues credo, in that it tells stories from the heart, for the heart. It is also a reflection of all that is funky and joyful. Caleb is one the hottest male singing artist in the Motor City. He has style, good looks, charm, humility and an incredible voice. 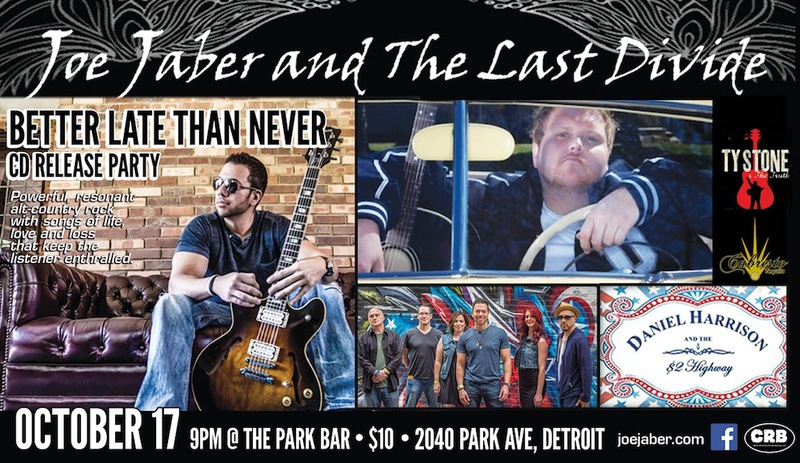 For years we have heard that distinctive voice resonating throughout the concert halls and nightclubs of Detroit as the popular lead singer of The Infatuations. But now Caleb has chosen to embark on a new solo career backed by an exceptional group of musicians who have come together. DETROIT! FEBRUARY 27!! 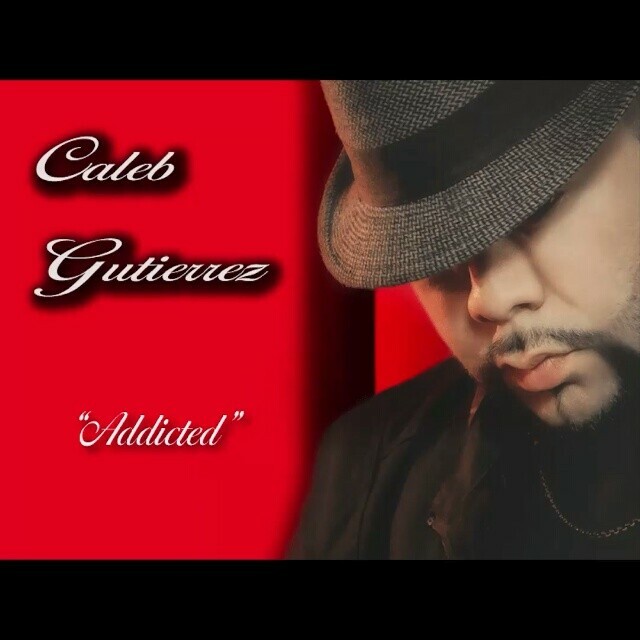 Feed your SOUL ADDICTION at Northern Lights Lounge with Nadir Omowale and Caleb Gutierrez with special guest DJ Joe G. Join us to celebrate the release of Caleb’s new single “Addicted” produced by Nadir & Christopher Spooner. 660 W. Baltimore St. in The D at 9pm. Friday, November 14 was a night full of surprises as Nadir, Christopher Spooner, DJ Ray 7, and Volcano visited the CaveRadio studios and appeared on the show Big and Bigger. Or check out a clip of the guys’ performance below.